Professors, QCs and a host of Lords and Baronesses put their heads together this week to consider what type of court should govern the final Brexit deal and citizen rights post-Brexit. 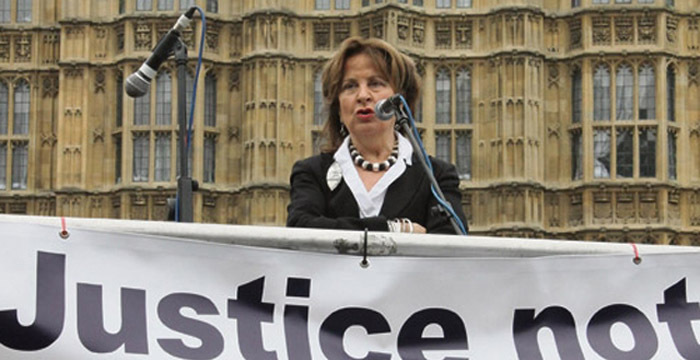 During the select committee session on EU justice, its chair, Baroness Helen Kennedy, and a top Cambridge EU law professor, Catherine Barnard, raised concerns over the declining role of UK-trained advocates in EU courts and in developing EU law. Commenting on the contribution made by UK lawyers, Kennedy said that “Britain produces rather high quality lawyers” and the development of law benefits from “our place at the table”. Barnard, who teaches at Trinity College in Cambridge and who is also a senior fellow of the academic network the UK in a Changing Europe agreed: “the UK has punched significantly above its weight” in the European Court of Justice (CJEU). The EU justice committee was discussing what court should govern both the Brexit withdrawal arrangements and how the rights and obligations of UK citizens or businesses under any agreement will be enforced. Barnard explored the pros and cons of the UK being able to adopt a system of “docking” with the existing court of the European Economic Area (EEA), the EFTA court. Docking means having access to the EFTA court and “borrowing their systems” without having to be a member of the EEA. It would also mean the UK being under the supervision of what is known as the EFTA Surveillance Authority. This is not, Barnard pointed out, anything to do with surveillance in terms of being watched but simply means “overseeing”. The issue of what court should be involved in the Brexit withdrawal arrangements is one of the ongoing sagas of the negotiations alongside the continued role of the CJEU in UK case law post-Brexit (which Lord Neuberger highlighted as a key issue for him at the end of last year). Hugh Mercer QC, who was giving evidence to the committee alongside Barnard earlier this week, was more optimistic about the UK docking with the EFTA court. Mercer, the chair of the Bar Council’s Brexit Working Group, argued that “its style of reasoning” was closer to the UK courts than the CJEU. He even felt that there was every possibility “British lawyers could participate in the court”. Just another Remoaner who didn’t fight hard enough to win the referendum. I think you’ll find that Catherine Barnard had an independent/non-partisan role advising the Government during the Referendum that prevented her from taking a side. But whether she is or isn’t supportive of the E.U. is neither here nor there; the Committee discussions presuppose that we are leaving the E.U. Whether EU law is good or bad is no longer our concern. But, like these individuals, I expect it will deteriorate further without us. The EU will be welcome to read our publicly available case law and adapt if they can. Misplaced British exceptionalism alive and well. Soon they’ll all be eating full English and throwing aside their champagne for nyetimber in recognition of our greatness. It’s not the case law of the CJEU that’s at issue, it’s the enacted law – the regulations and directives – as an expression of the EU’s political and economic choices. I appreciate that there is some reference to UK lawyers having “our place at the table” and in “developing EU law”, but the gist of this piece is that the UK and EU will suffer from the absence of UK advocates in the courts of the EU. The truth is that the EU’s (massive) programme of law making is influenced by politicians and, on their behalf, civil servants, not by lawyers, let alone advocates. And our political influence has always been very much less than the ardent pro-EU voices would have us believe. None of which is to say that we should have voted to leave – a stupid decision in my view, for altogether different reasons – but while we debate the rights and wrongs we should at least do so with our eyes open. I disagree with you on the ultimate decision to leave or remain. But like you I accept there are arguments on both sides which needed to be weighed in an honest manner. So I think it is particularly gracious and helpful of you to accept the point that we had very little influence on EU legislation. It was deeply unhelpful when people took indefensible positions during the referendum. That’s a very refreshing reply. Thank you. On reflection I would change “stupid decision” to “bad decision”: I had no wish to insult anyone. But given that certain parts of the Remain campaign adopted a strategy of “just keep calling them racist and stupid till they change their mind”, most leave voters are pretty thick skinned. I should add that, although I think my decision was right and my reasoning sound, I am very sad that it has come to the point where the UK has to leave the EU. So I do understand those who have an emotional reaction to Brexit – I just don’t blame leave voters for creating the current mess. Don’t sell yourself short mate. Leaving the EU is/was a thoroughly stupid decision. Now we are the man who has left the imperfect marriage, only to discover just how grim the new life is in the grotty bedsit. You forget that a lot of EU law comprises primary rules of the Treaties, having direct effect, which are written in elliptical terms and require interpretation by the Court. Directives and Regulations in highly technical areas are much more tightly prescriptive, but nevertheless, there are still plenty of ambiguously stated rules for lawyers to get their teeth into. I’m not sure what Baroness Kennedy is doing grandstanding here – she’s not exactly a regular before the Court of Justice, but Catherine Barnard knows her stuff and is well placed to comment about the influence of British advocates. EU enlargement to 28 means no one country can have much sway in voting on legislation (although the UK does seem particularly poor at leveraging its financial contribution into persuading others to vote with it) but down at the Court a case referred from one country can have an impact on the law equal to a legislative act. Can anyone name me ten positive things about the EU? You lost a winnable vote. It was yours to lose. 1. It makes Nigel Farage angry. I have a bit of a crush on Baroness Kennedy. This is another move to try and destabilise Brexit. JUST ACCEPT THE REFERENDUM (or reject the democratic process). Your choice. Why doesn’t she bugger of over there then if she is so keen to influence EU policy? I’ll crowdfund a one way ticket for her and all her fellow Soros shills tomorrow if it would mean the end of their yapping. Oh and also, she’s not speaking as a QC she’s speaking a subversive leftie who hates Britain. I hate Britain but I live here due to it making financial sense at this particular moment. I was born here but I really hope I am not still living here on the day that I die. How people can actually respect this stain of a country baffles me. Most of those who do are not well travelled or simply close minded (either through naivety derived from wealth or poverty). You hate an entire country and think that everyone who doesn’t hate it is an uniformed idiot. You read “most of those” as being “everyone”? Is this a law blog or an extension of the Daily Express and I have had enough of the vitriol again Sores and Brexit nonsense, if those posting are members of the legal profession, I am disgusted . Want to do business with the EU?